A solid investment case for incorporating ESG factors, a competitive market and well-established regulation have encouraged real estate investors to implement some of the most comprehensive approaches to responsible investment. Nevertheless, ESG factors such as climate risk, and fragmented sustainability standards, still pose challenges to responsible investment in real estate. 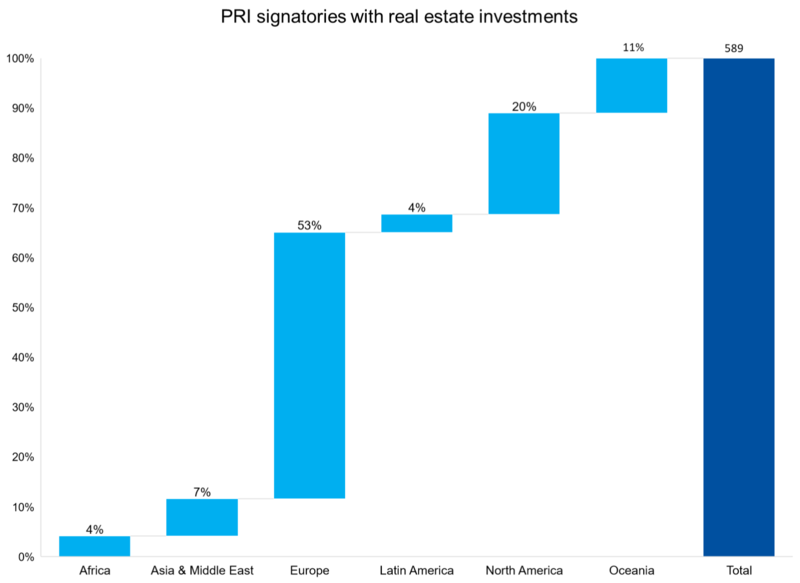 To find out more about the PRI’s work on real estate, contact us. Identify key drivers and overcome the most common barriers to action for integrating ESG and climate change risks into real estate investments. Sustainability has rapidly risen on the business and investment agendas of property (real estate) organisations in recent times. *Data taken from 2018 PRI Reporting & Assessment process. Excludes signatories that did not report because they are in their grace period. To explore more of the PRI’s data, go to the Data Portal.